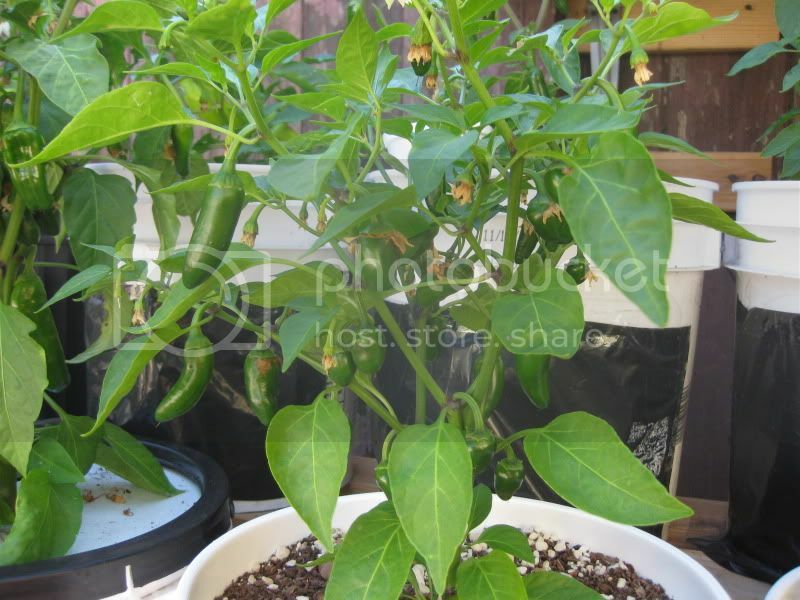 I know this is putting the cart before the horse but I would like to find a really, really good recipe for canning hot peppers. The one I used last year was ok, but the brine was almost all vinager which made my peppers taste like vinager. The peppers also got a little mushy. 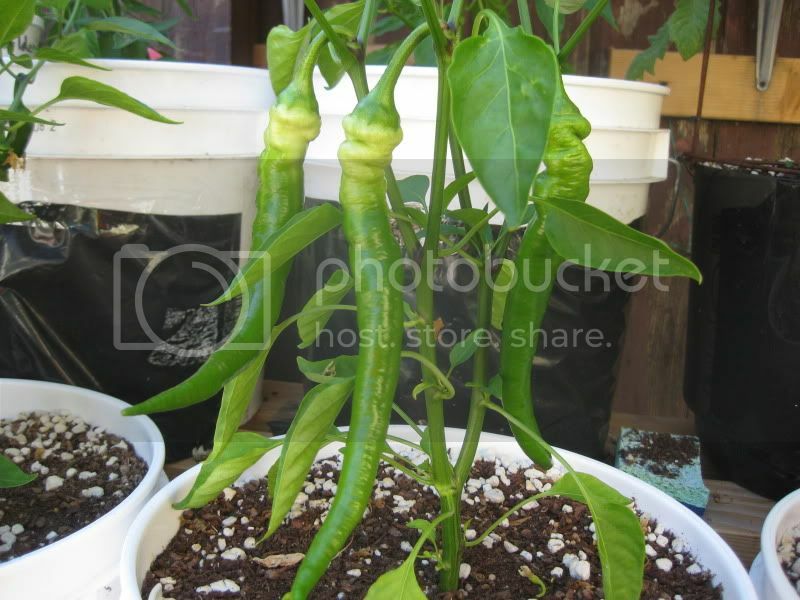 Would anybody care to post their favorite recipe for canning hot peppers? 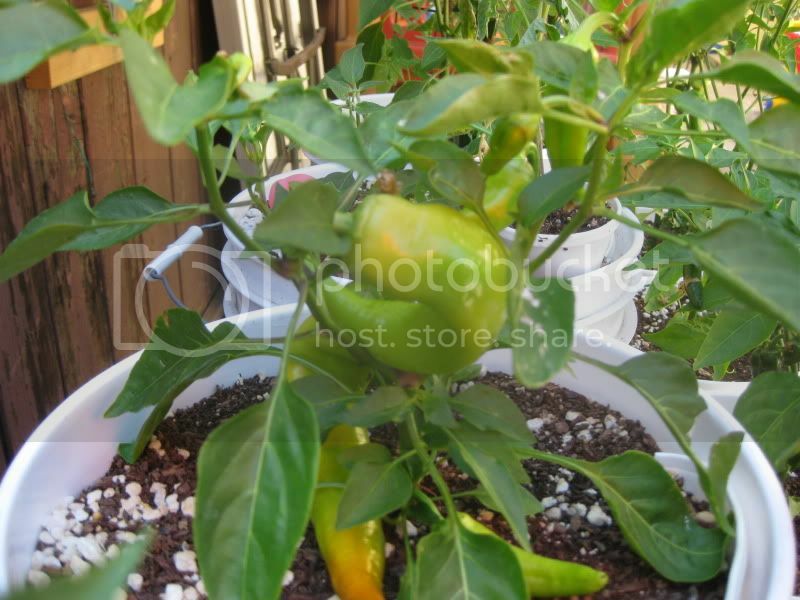 I am only going to have about 14 different hot peppers this coming year and I would like to can some of each. Thanks in advance for any great recipes!! Bread and butter pickle mix. A little less than half the sugar that is called for. I use the same style brine for doing jars of mixed hot peppers. If you want to see how people liked them, ask Remy and some of the others who tasted them at the Buffalo-Niagara-Western-New-York Tomato Tastefest the last 2 years. I believe I brought at least one litre jar both years. Haven't ever had any complaints....lol. I haven't found a recipe yet that works really well. I don't like them over cooked or too vinegar-y. Trying to reduce the vinegar or shiorten the process time hasn't been particularly successful...yet. I have a feeling that commercial canneries have spent a lot of time getting things to work just right, and also have access to certain ingredients that are hard to find. Calcium chloride to combat mushiness and sodium nitrite to keep bacteria at bay longer are NOT in my local grocery store! I put washed chilies (whole or cut) in sterilised jars and pour over boiling brine (diluted vinegar, salt and sugar). Close immediately, cover with some cloth and let it cool slowly. 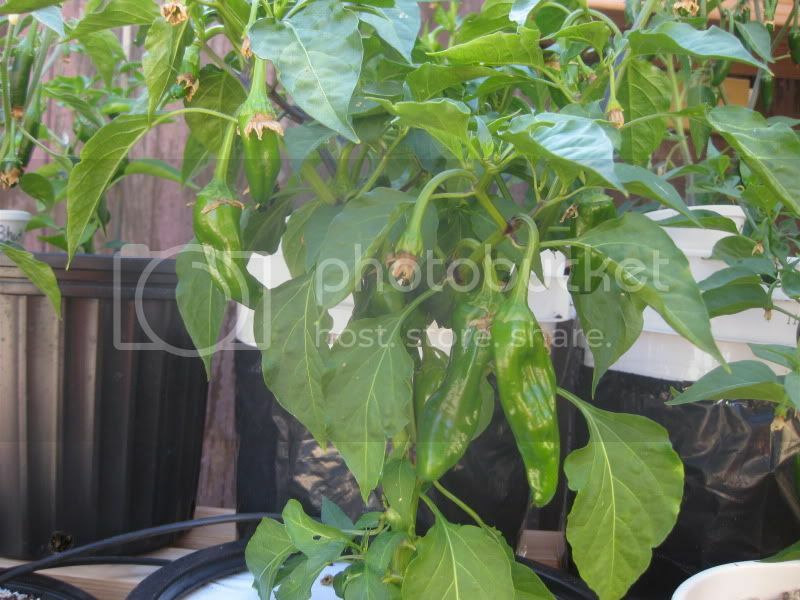 Chilies pickled this way are not mushy and they last at least three years. As a matter of fact, they are getting better every year. That's the way I do it....the hot pack method. The only jars that get processed are ones that don't seal as they cool (the distinctive "pop" sound and the dimple in the lid)...and even then there aren't that many that have to be. Less than 5% of all the jars we do, when we do our marathon have to be processed. All are still "crispy" when the jars are opened. I think I've preserved peppers just about every way possible & although I realize it's tough to stick to 'approved' safe methods I now mostly do for myself and always do if share with others. And the Ball Blue Books printed after 2004 are up to date safety-wise. I'm fortunate in that I like 'vinegary' so can pickle pods in the refrigerator and retain some crispness. Dissolve a lot of suger in the vinegar before adding pods and keep in the fridge. Try substituting some tequila for the water, e.g. two parts vinegar and one part tequila. I did this this year in a hot sauce and it tastes great. 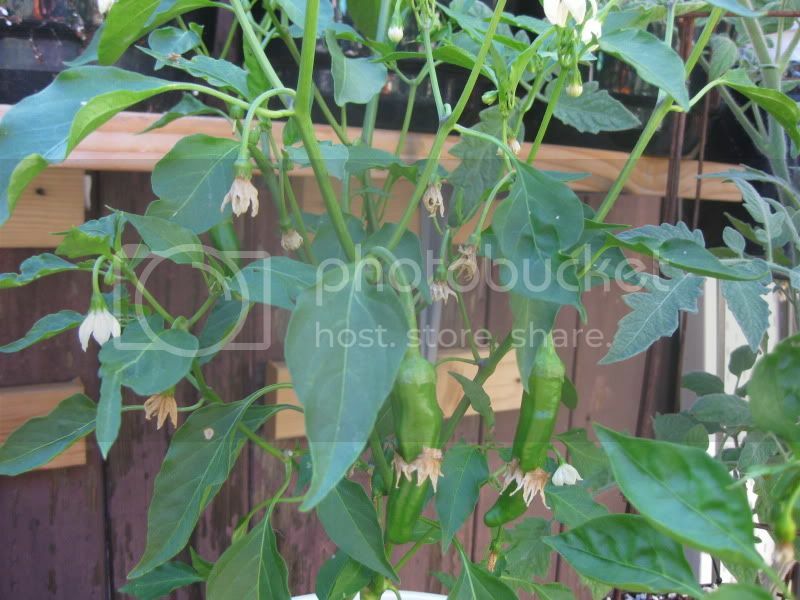 When the peppers are ready I am going to give all of the ideas so far a try. For some reason, the tequila idea sounds really good to me. Zana, what are the amounts of the diluted vinegar, salt, and sugar? ...what are the amounts of the diluted vinegar, salt, and sugar? I use 1 part of 9% vinegar and 3 parts water, 1 tbsp each salt and sugar per 1 quart of liquid. Here are two family versions - one using organic apple cider vinegar and the other with regular white vinegar. This is for the brine solution. Generally the rules for safe canning call for a minimum 50% vinegar (5% acidity type) to establish a safe pH. I prefer to use 66% (2 parts vinegar and 1 part water) just to stay away from the minimum. The vinegary taste, if undesirable, can be softened with sugar. I don't boil mine at all. I have a lot of room in my other refrigerator so I cold pack them, which keeps them crispy longer. I use 50-50 white vinegar and water. Most important is the large clove of garlic that gets sliced into each jar. Sometimes I'll add a slice of red onion, maybe a little mustard seed, but there has to be a lot of garlic in there. When it comes to crispness, pack them green. The red ones will get mushy in a few months. I find even the green ones I cold pack start getting mushy if there are any left the following summer. Right now they are exceptionally good, and I must of ate a quart just in the past 10 days. I like to slice them into strips and snack on them with sharp cheddar cheese. Yum. I grew these last year and they were just awsome . I just threw them on the grill and ate them with whatever. What other ways do you enjoy your Jimmy Nardello Peppers? Has anybody tried drying them? 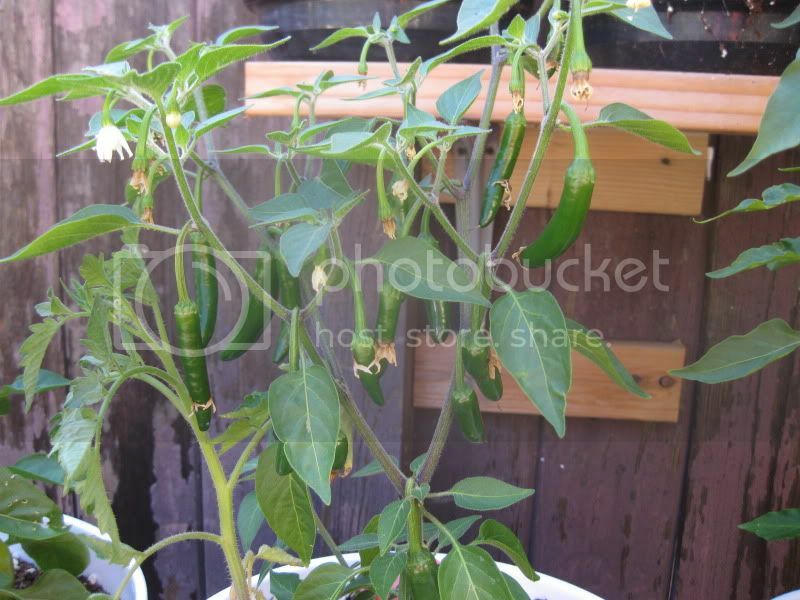 Below are a few pictures of my peppers in buckets.